We have seen a few different iPod and iPhone docks here on geeky gadgets, the latest one is a design concept from designer Sang-hoon Lee, the Stackable iPod Dock. 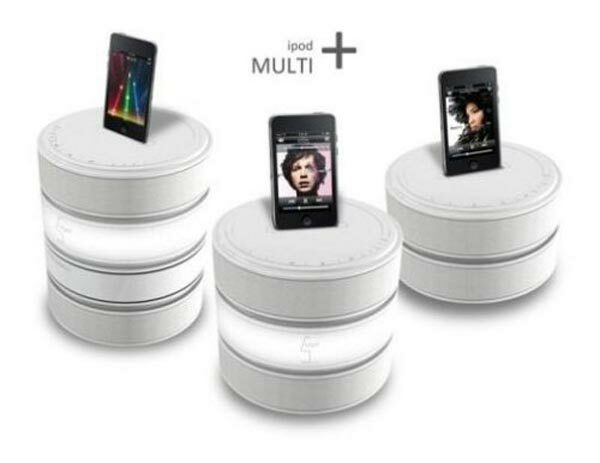 The Stackable iPod Dock is made up of round modules which can be stacked on top of each other to add new functions to the dock. For example you could add a couple of speaker modules and a light, there is even an air purifier module, this is a really cool design and it would be very useful having a few different options to add on to your iPod dock. Lets hope some manufacturer picks up this design.